I recently read two fabulous books: The Body Finder (out now) and Desires of the Dead (out February 15th), both by Kimberly Derting. From Goodreads: Violet Ambrose is grappling with two major issues: Jay Heaton and her morbid secret ability. While the sixteen-year-old is confused by her new feelings for her best friend since childhood, she is more disturbed by her “power” to sense dead bodies—or at least those that have been murdered. Since she was a little girl, she has felt the echoes the dead leave behind in the world . . . and the imprints that attach to their killers. Violet has never considered her strange talent to be a gift; it mostly just led her to find dead birds her cat left for her. But now that a serial killer is terrorizing her small town, and the echoes of the local girls he’s claimed haunt her daily, Violet realizes she might be the only person who can stop him. Despite his fierce protectiveness over her, Jay reluctantly agrees to help Violet find the murderer—and Violet is unnerved by her hope that Jay’s intentions are much more than friendly. But even as she’s falling intensely in love, Violet is getting closer and closer to discovering a killer . . . and becoming his prey herself. From Goodreads: The missing dead call to Violet. They want to be found. Violet can sense the echoes of those who’ve been murdered—and the matching imprint that clings to their killers. Only those closest to her know what she is capable of, but when she discovers the body of a young boy she also draws the attention of the FBI, threatening her entire way of life. As Violet works to keep her morbid ability a secret, she unwittingly becomes the object of a dangerous obsession. Normally she’d turn to her best friend, Jay, except now that they are officially a couple, the rules of their relationship seem to have changed. And with Jay spending more and more time with his new friend Mike, Violet is left with too much time on her hands as she wonders where things went wrong. But when she fills the void by digging into Mike’s tragic family history, she stumbles upon a dark truth that could put everyone in danger. 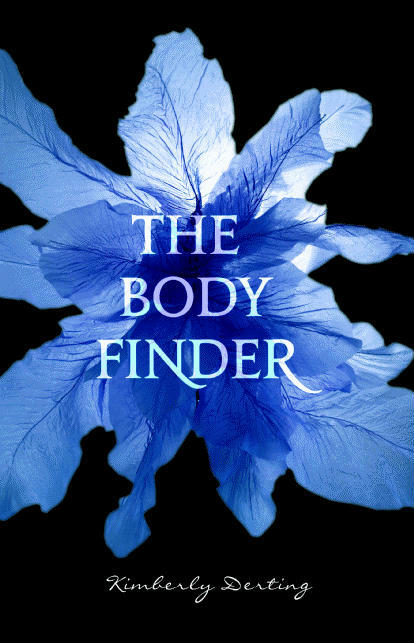 I’ve been familiar with The Body Finder for many months now, but all I knew was the basic premise: Girl has weird ability to locate murdered bodies. While it sounded interesting, I didn’t feel a strong urge to pick it up because, frankly, I like a little (better yet–a lot!) of romance in my books. WELL… good news! Both The Body Finder and Desires of the Dead are intensely romantic! In fact, Violet and Jay’s relationship is one of my new favorites. It’s natural, sweet, and steamy. Jay is exactly the kind of guy I wanted to date when I was in high school (in fact, his personality is a lot like my husband’s). He’s protective, funny, apparently hot and, best of all, a really good friend to Violet. And Violet herself is a very likeable protagonist. She’s no damsel in distress and she’s honest, for better or worse. I have to admit that before reading, I was skeptical about the serial killer terrorizing a small town bit in The Body Finder. It seemed very likely that in a YA novel a serial killer plot could come off as cheesy or… I don’t know… too fluffy? Thankfully, that wasn’t the case. Kimberly Derting handles the crimes in both books realistically, yet with restraint. She very courageously delves into the mind of a serial killer (The Body Finder) and a stalker (Desires of the Dead), even devoting short chapters to their (disturbing) points of view. Seriously, I read these book over a few nights before bed and was totally creeped out when I turned off my light. The mysteries in both plots are equally riveting. I imagine Violet’s gift for seeing the echoes of the dead and their imprints left on killers made it difficult to drop a lot of red herrings into these stories. Violet can very clearly see who has killed and who hasn’t, and yet some pretty crazy plot twists kept me guessing throughout both novels. I love Kimberly Derting’s writing style. That’s saying a lot since I rarely fall for books done in third-person. It’s lyrical, but not overdone to the point of distracting. And I was totally in Violet’s head. I could clearly picture everything described, from Jay’s dorky, crooked smile to the strange oil-on-water echo left behind by a murdered body. One more plus for these books, at least for me: they take place in Buckley, Washington, a small town that’s located just a few miles from MY small town. It was fun to read books set nearby. I’ve seen White River High School. I take my daughter swimming at Lake Tapps. I look out my window at Mount Rainier every morning. And I shop at the same Nordstrom as Violet and her friends. So cool to see how an author views places that are a part of my every day life. I definitely recommend you check out The Body Finder if you haven’t already. 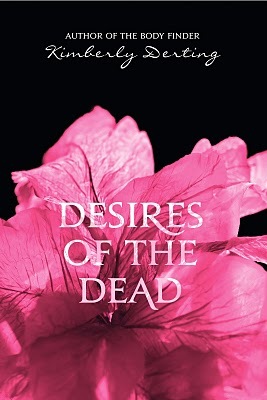 Its follow-up, Desires of the Dead, is out February 15th. Great reviews. I’m adding these to my TBR list right now. Yay! Hope you love them, Lynn! Oh, I always adore your posts on books. I’d been aware of these but drifting past them for the same reasons as you did–I’ll now pick them up for the same reasons you enjoyed them! Oh, good! I hope you enjoy them as much as I have.